With the advent of the 200- or 300-bird day, picking-up has become a sport in its own right. 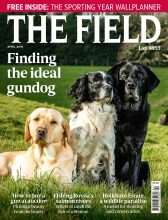 The rise of commercial shooting and professional pickers-up has seen the decline of the peg dog. For David Tomlinson it is his spaniel, rather than his gun, that is essential for a day in the field. For more on the decline of the peg dog, read why are peg dogs no longer welcome in line? Some years ago, when I was a member of a small, stand-one, walk-one shoot in the Weald of Sussex, I forgot to take my gun. I arrived at the shoot to find my spaniel sitting eagerly in the back of my car but of my gun there was no sign. This was the first time that I realised that my dog was more important to me than my gun, for both spaniel and I had a thoroughly enjoyable day. Shooting without a peg dog is like eating strawberries without cream. It’s quite possible but not nearly so enjoyable. These are, I regret to say, old-fashioned sentiments, for the world of shooting has changed, slowly but significantly, during the lifetimes of those of us old enough to remember when Harold Wilson was prime minister. Back in the 1970s, commercial shooting hardly existed. If you wanted to shoot, then you had to either have friends who would invite you for a day or rent a bit of ground with a group of pals. The majority of shoots were relatively modest, as no one had invented the 200- or 300-bird day then, and most people had their own peg dog. The latter was essential for the day’s sport as, curious as it may seem, the semi-professional picker-up was a rarity. At the end of a drive, the guns’ dogs would do the picking up, helped by the keeper and a couple of the beaters.  Perhaps a local gundog enthusiast might have helped with retrieving the birds on a big shoot but the concept of a team of six or seven pickers-ups, each with several dogs, was virtually unheard of. Commercial shooting, together with the rise of the corporate day, changed all this. Game-shooting was suddenly available to a much wider audience. The new participants embraced the sport with enthusiasm, buying all the right gear, even a smart 4×4 to take them to the shoot. They armed themselves with Italian over-and-unders, wore loud tweeds and weren’t sure whether the keeper released the woodcock or whether they were wild birds. dog was a year-round commitment. We all know the slogan: A dog is for life, not just for Christmas. Well, it’s not just for the shooting season, either. The nature of the day’s shooting changed, too. Bags became bigger as the guns demanded more shooting, and it soon reached the point at which the guns’ peg dog, however good they were, were unable to retrieve more than a fraction of the bag. With the shoot charging the guns per bird shot, it became imperative to employ teams of efficient pickers-up. The latter, instead of being one man or woman and a dog, became several men and women and lots of dogs. The great increase in the number of birds driven over the guns also changed the day for the peg dog. Animals that were quite relaxed on a modest day’s shooting became hyped up and over excited as hundreds of birds were driven over them, and the banging sounded like a British Army encounter with the foe. Many dogs were simply not sufficiently well trained to cope with it. And as the shooting became more demanding, the majority of guns preferred to concentrate on that alone, without the distraction of handling a dog. Picking-up became a sport in its own right and attracted an increasing number of people with an enthusiasm for dogs but little or no understanding of the etiquette of shooting – or an apparent appreciation for who was paying for the day. Guns with dogs found that the pickers-up were hoovering up all the birds without their own dog getting a look in, and they began to question whether it was really worthwhile taking their not-very-well-trained-but-very-enthusiastic dog along. The day of the dogless team of guns had well and truly arrived. The result today is that many of the new guns take it for granted that someone else will pick their birds. They have never had the satisfaction of shooting a bird and then having it retrieved by their own dog. I was once invited on a driven day when my host suggested that the guns should leave their dogs behind as he had a good team of pickers-up. True, he did, but it struck me that I only shot birds because I wanted my dog to retrieve them. The shooting suddenly became quite pointless. I’ve never heard of anyone giving up their dogs and taking up shooting but I’ve met many who have given up their gun to concentrate on their dog or dogs. May I suggest that simulated game days, with clays rather than birds, are the answer for the dogless gun?